Joan Llull was jointly hired by MOVE and Universitat Autònoma de Barcelona as an assistant professor in 2011, and has been there since then. Joan obtained his PhD from CEMFI in 2011. He has held visiting positions at the University of Wisconsin-Madison and at the Bank of Spain. His research interests are in labor economics and microeconometrics, and his current research focuses on the labor market consequences of labor migration, health and family economics, and unemployment. Joan is also an affiliated professor at the Barcelona GSE and a member of the INSIDE network. 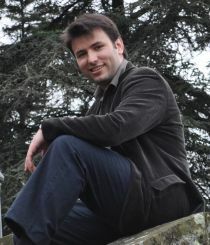 Joan Llull joined CReAM as an External Research Fellow in March 2014.